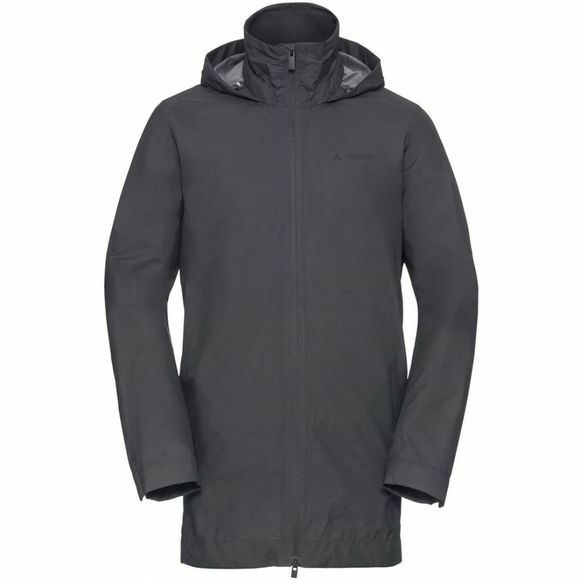 The Mens Margone Jacket from Vaude means when worse comes to worst, this lightweight coat'll have you covered. 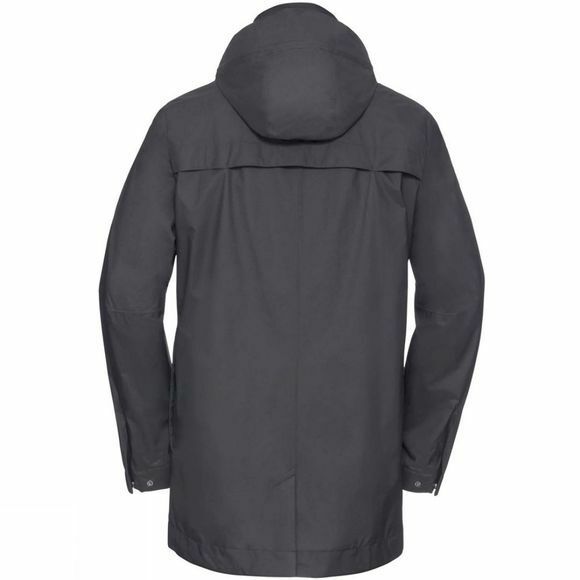 The Margone is a classic, all weather rain coat for metropolitan or outdoor adventures! The wrinkle-free, very lightweight fabric is wind repellent, breathable and absolutely waterproof – even when it's pouring buckets. And when the sun comes out again, the adjustable hood can be easily rolled up and stowed in the collar. This versatile all weather coat is a low-key companion that's always ready to go–whether packed in your urban daypack or the depths of your round-the-world-travel pack. The bluesignsystem certified primary material is absolutely free from harmful materials and was produced in accordance with strict environmental standards. A fantastic, eco-friendly all weather coat that'll stand by your side for years to come. The Vaude Green Shape label stands for environmentally friendly, functional products made from sustainable materials.